Click here!… Let us know you will be attending on Facebook. Raise awareness about America’s wild horses! Join us for live training & horsemanship demos! 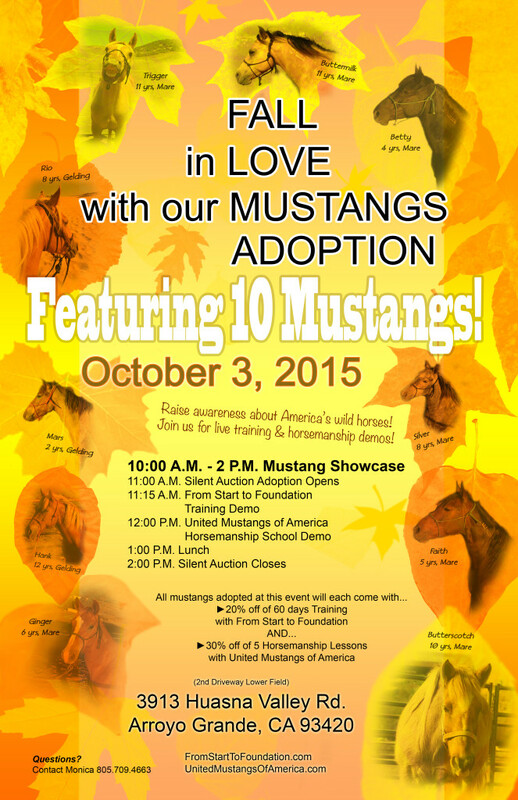 We have a total of 10 mustangs available for adoption who all need forever homes. (7 Mares and 3 Geldings). 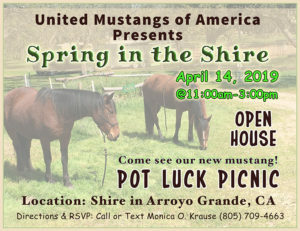 We will be featuring 10 mustangs! Please contact Monica Krause for questions 805.709.4663.